General Electric Launches Retiree Insurance Cuts; Unions Launch Lawsuit | Godwin, Morris, Laurenzi & Bloomfield, P.C. By Godwin, Morris, Laurenzi & Bloomfield, P.C. of Godwin, Morris, Laurenzi & Bloomfield, P.C. on Friday, November 13, 2015. General Electric's (GE - Get Report) biggest labor unions, including the Teamsters and United Autoworkers, are asking a federal judge to bar the company from cutting health care benefits that they say were promised to retirees in labor contracts. 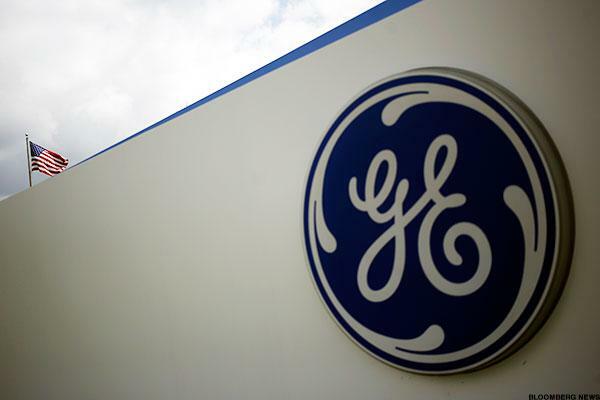 In a lawsuit filed Monday in U.S. District Court for northern Ohio, they contend that GE's discontinuation of existing health plans for retirees violated the terms of collective bargaining agreements for "tens of thousands" of former GE employees. TheStreet reported last week that the unions were planning legal action after talks with management collapsed. In place of existing plans, the Fairfield, Conn.-based manufacturer has said it will provide retirees who turn 65 before January 2018 with a $1,000-a-year reimbursement for insurance bought on exchanges starting next year. Retirees who don't meet the age cutoff are hurt even more than their peers, the suit says, claiming that GE advised many union employees to retire before a 2011 contract was negotiated in order to keep the retirement benefits available to them at the time. Some of those workers left before regular retirement age, taking advantage of contract provisions that offered them health care benefits, and would now "be forced to absorb the entire cost of replacing the Retiree Benefit Plans from their own pocket," the suit alleges. The terms of agreements reached during at least 14 rounds of collective bargaining negotiations, beginning as early as 1973, show that both GE and union negotiators "mutually understood that the Retiree Benefit Plans provided lifetime benefits that would continue through a GE worker's retirement just as his or her pension did," the lawsuit claims. In addition to protecting the union retirees' existing health plans, the labor groups' lawsuit seeks both damages and coverage of legal expenses. GE has so far booked about $4.7 billion in savings by ending its traditional health and life insurance plans, including $3.3 billion of savings in the second quarter of this year, along with $832 million in 2012 and $586 million in 2014. The Fairfield, Conn.-based industrial giant maintains the cuts are in line with a trend among major U.S. corporations, including Time Warner, IBM and Walgreens, which began shifting retirees to insurance exchanges after the 2010 passage of the Affordable Care Act. Plaintiffs in Monday's suit also include the Communications Workers, Electrical Workers, Machinists, Steelworkers and Professional and Technical Engineers. The cuts to GE's traditional health plans, whose quality prompted some employees to spend their entire careers at the company, have been met with a backlash, already sparking a civil suit not based on union contracts. That lawsuit, filed last year by Dennis Rocheleau, GE's former chief labor negotiator, and retired benefits counselor Evelyn Kaufman, seeks class action status for a claim that GE's health care cuts violated an implied promise in an employee handbook. GE has said it "remains confident that the company acted properly and lawfully in making changes to retiree health benefits consistent with trends among other large companies."